Around the Himalayan foothills lies the beautiful hill station Darjeeling that is part of India’s West Bengal state. During the British reign, the city served as a summer retreat for the foreigners because of the city’s cool climate. Also, the rulers developed tea plantations in the region as they found the conditions to be favourable. 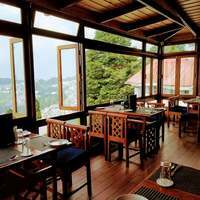 If you plan to visit the town, then attractive deals on the top Darjeeling hotels can be availed on the Cleartrip site. Tourist attractions that you must visit on your Darjeeling tour are Sumendu Lake, Peace Pagoda, Raj Bhavan, Rock Garden, Tiger Hill, Salugara Monastery, Buddhist Monasteries, Observatory Hill, and Sevokeshwari Kali Mandir, and Padmaja Naidu Himalayan Zoological Park. 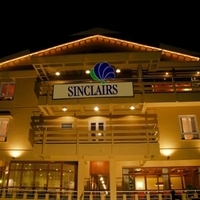 Some Darjeeling hotels are situated in close proximity to these, and you can book through Cleartrip easily. 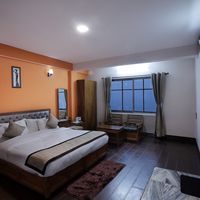 For your stay in the Darjeeling hotels, you can choose from 4-star, 3-star, budget hotels, home stays, boutique hotels and even service apartments. Also, you must make your bookings in advance for higher savings, hotel of choice and to avoid disappointment. 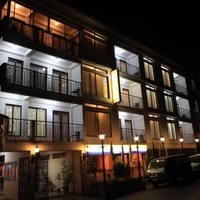 Some hotels in Darjeeling that make for a good choice are the ones located in prominent localities, such as Chauk Bazaar, Lebong Cart Road, the Mall, Gandhi Road, the Lake, Tinchulay, Chowrasta, and Ghoom. The best time to visit Darjeeling is between the months October to March. This period marks the end of the monsoons and also, the weather becomes chilly. When booking your hotels in Darjeeling, you can benefit from discount coupons for cashback benefits through Cleartrip. Darjeeling is a wonderful hill station in the state of West Bengal, which has exotic natural beauty worth exploring. It was during the British rule when Darjeeling was named as the ‘Queen of all hill stations.’ It is bestowed with the beautiful colours of nature. No matter how many times you visit this place, you will really appreciate the beauty and smile of the local dwellers. It is also known as the ‘visitor’s paradise’ as it provides uniqueness to both the first time visitors and the regular ones also. 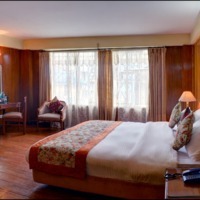 Booking a hotel in Darjeeling is quite easy with Cleartrip. A complete list of hotels, resorts, home stays and heritage hotels can be checked online. People who love luxury can opt for 4-star and 5-star hotels, resorts or heritage hotels. These are equipped with all the luxurious and modern amenities to provide you an unmatchable experience during your trip. 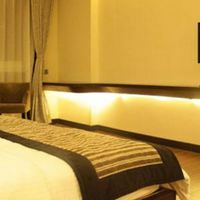 Air conditioned rooms with cosy beds, spa and bars are also available to rejuvenate you after a tiring day. 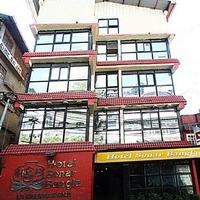 Budget hotels are also available like 2 and 3-star hotels for people preferring medium range accommodations. Travellers can also choose from homestays which is a type of residence accommodation. Season: Darjeeling is an all time tourist spot as the weather remains pleasant all through the year. You can get reasonable rates if you plan the trip during winters. 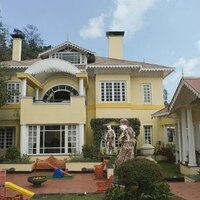 But, if you are planning to visit Darjeeling during the peak season then you should book hotels in Darjeeling well in advance. 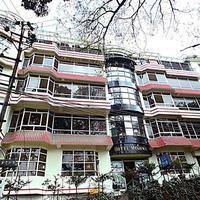 Luxury: All range of hotels is available at Darjeeling. 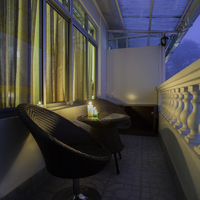 One can easily book 4 or 5-star hotels in Darjeeling in order to enjoy a luxurious stay. Location: Selecting a hotel close to the city centre would be wise. 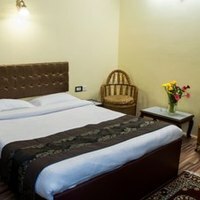 Booking hotels near Jalapahar road, Chauk Bazaar connects you to the major facilities of the city. Budget: As mentioned above, there are plenty of options available for budget travellers in the form of 2 or 3-star hotels, homestays and so on. 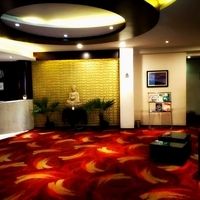 Hotels near Chowrasta: Shopaholics can choose the hotels located close to Chowrasta. It is also known as the Mall road. 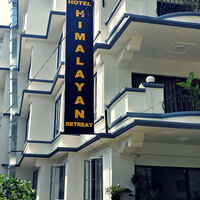 Moreover, being a well-developed area, you can enjoy your stay at hotels located here. 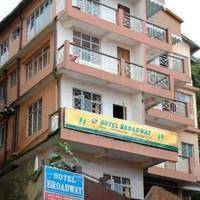 Hotels near Gandhi Road: In order to have a comfortable stay free from all hassles, check out the lists of hotels on Gandhi Road, Darjeeling. 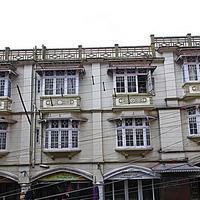 There are approximately 70 to 100 hotels available in different parts of Darjeeling. However, the minimum price of the hotel for a night stay is 1240 INR while the maximum is 19520 INR. Through price filter option, one can find a hotel in one’s budget. One can conveniently drive to the city from the nearest cities like Siliguri, Kurseong, Kalimpong and so on. The road network is quite good and smooth offering a good driving experience. From NJP and Kolkata the distance is 73kms and 615kms respectively. The nearest station is New Jalpaiguri, which is connected with the major cities of India like Delhi, Chennai, Kolkata, Bangalore, Mumbai, Cochin and so on. Darjeeling is about 73 km from this spot, so you can hire a cab or taxi. If you choose Darjeeling Himalayan Railways or the famous toy train service, it would take about 7 hours. Nearest airport from the city is Bagdogra airport which is 38 km away from Darjeeling. You can take direct flights from Kolkata, Delhi, Guwahati and other major cities. Lunar Restaurant, 51 Jalapahar, Gandhi Road, Near Taxi Stand, Darjeeling. 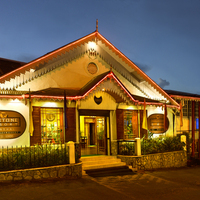 The Park Restaurant, Laden La Road, Near State Bank of India, Darjeeling. 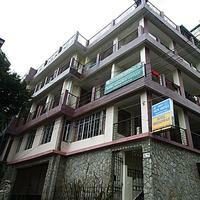 Kunga, 51 Gandhi Road, Near City Centre, Darjeeling. Hasty Tasty, 13 Nehru Road, Darjeeling, India. Frank Rose Café, Nehru Road, Darjeeling. Darjeeling Himalayan Railway: Darjeeling trip can never be complete unless and until you enjoy the joyous ride of toy train. The slow moving train on the hilly terrain is just a magical experience which no one wants to miss. It is considered as one of the World Heritage sites of UNESCO. Tiger Hills: The panoramic view of first morning rays of sun on Mount Kanchenjunga and the peeping Everest through the mountains can be viewed from the Tiger Hills. Rock Garden: The rock garden is popularly known as the Barbotey Garden which is situated 10 km away from the city. The gorgeous flower beds, rock benches and waterfall in the garden are the most appealing aspects of the place. Nightingale Park: In earlier times, this park was known as the Shrubbery especially when it was the private courtyard. In the year 2011, it was opened for the public. City shopping: Get down to the local shops and pick the art and craft works of the Sikkim and Tibet. Buy the famous Darjeeling tea available in different types. You can also visit the tea garden and feel the essence and smell of tea and pick the fresh tea from there. Culture: You can witness Tibetan and Sikkim culture here. They are the nature worshippers and dance from the Ghoom Monastery to the Darjeeling city centre, wearing white dress and the head gears. Markets: One can get down to the local markets and pick the piece of artworks of Tibetan and Nepali styles. You can even enter the tea market and get the fresh collection and varieties of tea. Food: You can enjoy almost all flavours of food, starting from Bengali, south Indian, continental, Chinese, Nepali flavours and so on. However, the traces of Bengali, Tibetan and Bengali elements are mainly available here. Popular items are Nepali thali, Changg, Dum aloo and the most importantly fine and fresh quality tea. Gangtok: Tons of people visit this place, which is 48 km from Darjeeling. North Sikkim: It is nearly 58 km away from the city providing extreme and serene natural views. Jalpaiguri: It is approximately 74 km away from Darjeeling. Cooch Behar: Approximately 142 km from Darjeeling, it was the province of Koch dynasty. The average minimum and maximum temperature here is 2 degree and 28 degree respectively. Summers are pleasant and are also the best time to visit while the winters are quite chilly. Being the peak season, high number of tourist come down here to get rid of the scorching summers. 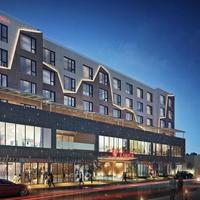 It would be wise if you book hotels in advance to avoid last minute fuss. This is usually the monsoon season when the number of tourists is less due to the risk of landslides. However, you can get best hotel deals during this season. 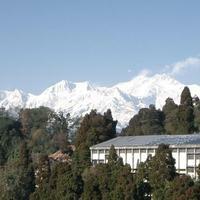 If you want to enjoy the chilled weather of Darjeeling then consider the months between October and March. Losar is the New Year celebration in Darjeeling, which is a 15 days celebration. Bumchu: It falls around January and February where the sealed pot of holy water is opened. This is a way of worshipping nature. Teesta Tea and tourism festival: This is another festival, which attracts a large number of tourists.